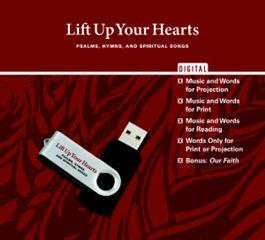 This complete set includes Words and Music for Projection (projectable format), Words and Music for Print (PDF format), Words Only for Print and Projection (PDF format), and Our Faith (PDF format). Music and Words for Print - Music and words in PDF format to cut and paste for printing. Music and Words for Projection - Music and words in a projectable format to be used with PowerPoint, Easy Worship,Media Shout, etc. Words Only for Print or Projection -Song texts in PDF format (words only, no music) to cut and paste for projection or in bulletins. Our Faith: Ecumenical Creeds, Reformed Confessions, and Other Resources - in PDF format to cut and paste for projection or in bulletins.